Nine Charlottesville-area companies recently were named to the Inc. 5,000 list, an annual ranking of the nation’s fastest-growing businesses. Originally Published September 11, 2014 in The Charlottesville Daily Progress, by Nate Delesline III, Staff Writer. 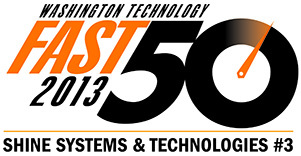 Among the local companies, GovSmart had the highest spot on the list, ranked at No. 102 with a 3,532 percent growth rate over three years, $25.4 million in revenue and 12 employees. GovSmart provides information technology products and services such as hardware, software and sales support and consulting to the federal government and contractors. WillowTree Apps was next, ranked at No. 454 with 1,048 percent growth, $8.2 million in revenue and 70 employees. CEO Tobias Dengel cited several factors that are sustaining the company’s growth. “There’s a lot of [growth] factors that are both external to us and internal,” Dengel said. By next year, Dengel said, people who are 25 years old or younger are expected to watch more content on smartphones and mobile devices than they will on TV. “That change is just incredibly fast and a really big deal for a lot of industries,” said Dengel, who added that business environments also have become part of the growth mix by shifting tasks that previously were handled on paper or on laptops to app-based interfaces. 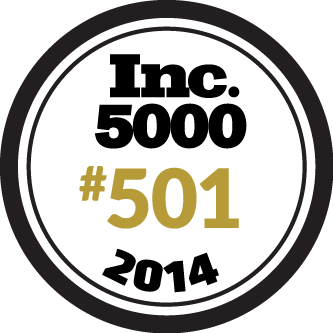 Inc. magazine ranked SHINE Systems & Technologies at No. 501, with 942 percent growth, $13.1 million in revenue and 54 employees. Co-construct, a Crozet-based company that provides a web and mobile application for custom home builders, came in at No. 515 with 912 percent growth, $2.1 million in revenue and 16 employees. Inc. ranked Nest Realty at 1,041 with 428 percent growth and $7.7 million in revenue. The company employs nine people. Digital marketing services company Rimm-Kaufman Group was ranked No. 1,520 with 282 percent growth and 193 employees. Charlottesville Settlement Co. was ranked No. 2,569 with 147 percent growth, $2.7 million in revenue and 26 employees. SNL Financial was No. 4,413, with 61 percent growth, $188 million in revenue and 2,627 employees. Founded in 2007 by 14 real estate attorneys, Charlottesville Settlement Co. said in a statement that it was able to make a declining housing market work to its advantage with the anticipation that underfunded competitors would close. Following an “explosive year of growth” in 2012, the company in 2013 expanded into Lynchburg and Wytheville under the name Freedom Settlement Services. Savvy Rest, ranked No. 4,717 with 51 percent growth, $6.3 million in revenue and 28 employees, rounded out the local companies to make the list. Albemarle County spokeswoman Lee Catlin echoed that sentiment. “These companies are injecting a lot of energy, investment and career opportunities into our economy, and we are very grateful that they have chosen our community as their home,” Catlin said.